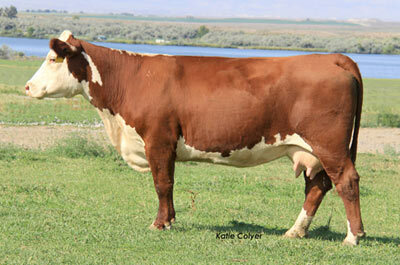 1008X was purchased as a heifer calf from Hacklin Hereford Ranch in Oregon for Piper and Cruz. She has turned into an exceptional donor cow! 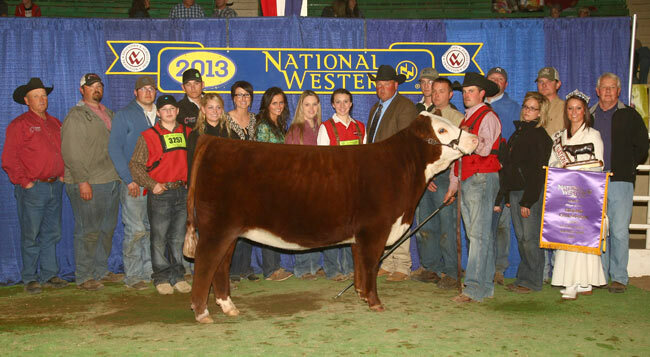 As a first calf heifer she produced EYE CANDY the 2013 National Grand Champion Polled Hereford Female. The 2014 Fall Female sale will feature some excellent full sisters to EYE CANDY as well as an outstanding March heifer out of Miles McKee.